If you’re new around here, let me start by saying that I am skin care obsessed. I truly believe skin care should be a big priority in everyone’s morning/nighttime routines & if you’re not taking care of your skin, I strongly urge you to start now. Our skin is our largest organ & sometimes I feel like people forget that! So, with that said, I’m here to review a new product that I’ve been trying out for the past 4 weeks, the Olay Regenerist Whip fragrance-free! 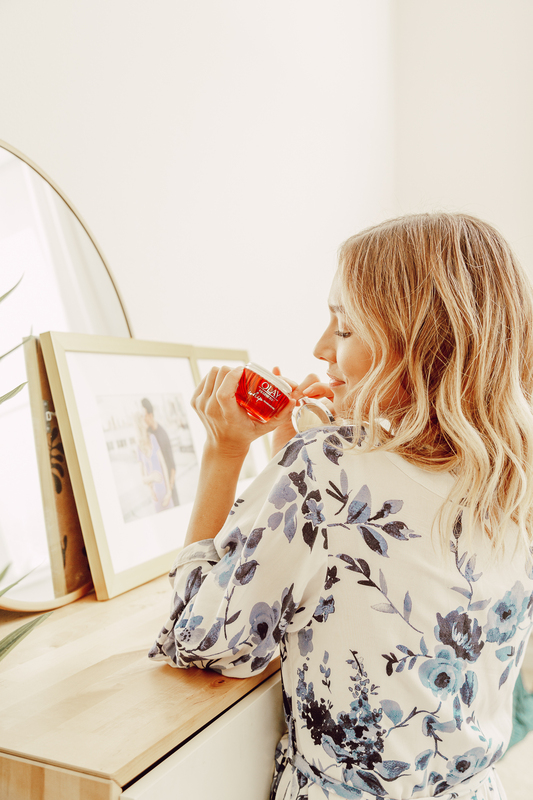 I heard so many wonderful things about the original Olay Regenerist Whip (after all, it’s their best-selling facial moisturizer) & I was absolutely thrilled when Olay reached out to let me know that they were coming out with a fragrance-free version! (I am VERY sensitive when it comes to scents & so I am a big fan of products that are fragrance-free.) I couldn’t wait to get my hands on this product & immediately put it into my skin care routine to see if everything I had heard about Olay Whips was true. I am so happy to let you all know that this product 100% lives up to its hype! Olay Regenerist Whip Fragrance Free brings powerful hydration with a smooth matte finish that is light as air. I love that it absorbs quickly into the skin, making it a staple in my morning & nighttime skin care routine. It has helped diminish the appearance of my fine lines while simultaneously hydrating my dry skin to give it a lifted look. I have loved the results I’ve seen already & can’t wait to see the affect this moisturizer has on my skin in a couple more months! If you’re in the market for a new moisturizer, I would definitely recommend this! I personally think it would be wonderful for all skin types because of the matte finish it leaves on the skin & the results I’ve seen have been incredible. Plus, if you’re sensitive to scents like I am, this fragrance-free version is perfect for you! You can pick up one for yourself at Walgreens & check out the new fragrance-free Total Effects Whip SPF25 as well! Have you tried Olay Whips yet? Let me know in the comments below! This post is sponsored by Olay. If you’ve been following my blog lately, you know that I got super sick the night before I was supposed to fly to NYFW & had to cancel my trip… Although I was bummed about missing it, I was so happy that I could follow along online. (Thank goodness for the Internet!!) My favorite makeup look was definitely the colorful eye at the DVF show! It was such a fun look & the pop of color really complemented the collection. I knew I wanted to re-create at least one look from the runway & the second I saw the bright eye from DVF, I knew that was the one I wanted to emulate. I love how easy this look is to create & love that it would also be perfect for a holiday look as well (just add some eye liner!). I hope you guys enjoy!! For the face, I used my current go-to products from Walgreens that I used in this past tutorial. I focused on bronzed cheeks to re-create that golden skin from the DVF runway & the No7 Perfectly Bronzed Mosaic Bronzer worked perfectly! Once the face was completed, I went in with my Circa Color Saturated Eye Crayon to get a nice base for the colorful eye. I love this eye crayon because it’s easy to apply & it helps keep my eye shadow in place all day long. Next up is the Colour Prevails Eye Shimmer Powder in the shade Emerald. 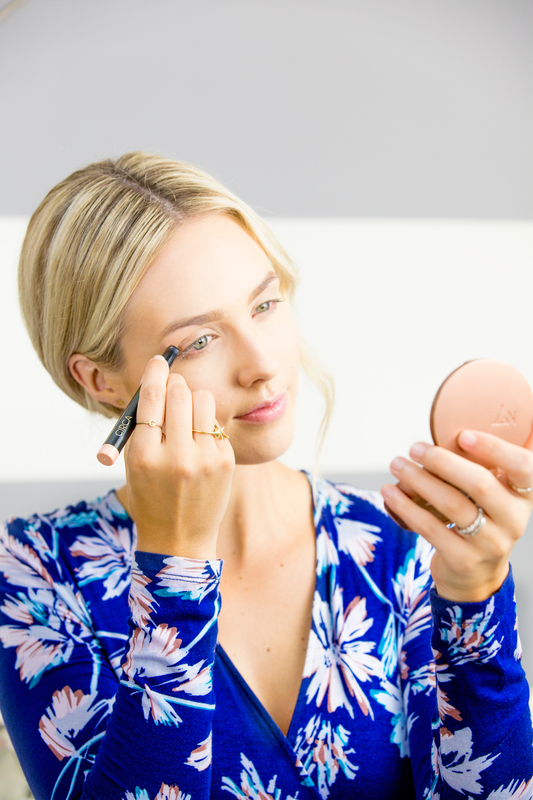 This shadow is THE perfect product to re-create the DVF look! I love that this product is super buildable because you can wear it as a light shade or a super bright shade. I applied this all over my lid, the inner corner of my eye & the lower lash line with the small brush it comes with & then used a fluffy blending brush to blend out the edges so that I didn’t have any harsh lines. 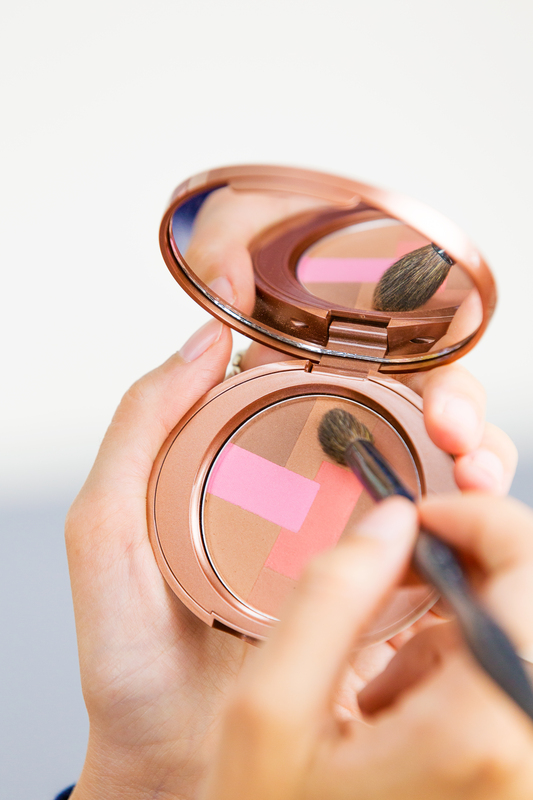 I then went in with the lightest shade in the Mosaic Bronzer to give some depth to the crease. Last but most definitely not least, mascara! I still love this No7 Lash Impact Mascara because it not only lengthens my lashes but it also gives them a nice amount of volume. Which is always a win in my book & no look is complete without a good mascara. I hope that you guys enjoy this fun look as much as I do. It’s always fun to mix things up a bit & try a pop of color! Disclosure: This post was sponsored by Walgreens through their partnership with POPSUGAR Select. While I was compensated to write a post about Walgreens Beauty, all opinions are my own. Tickets are booked! I’m beyond excited to fly to NYC to attend NYFW again! I went for the first time in February & had such an incredible experience. Thank goodness it won’t be freezing cold this time 🙂 On another note, I wanted to put together a little NYFW Makeup Tutorial for you guys this time around! Since it’s always a bit crazy trying to get around to shows & meetings, I am already planning out beauty looks that are easy to accomplish but still make me feel comfortable & confident. Below you will find a little step by step of one of my favorite natural looks with a slightly edgy, emerald cat eye. 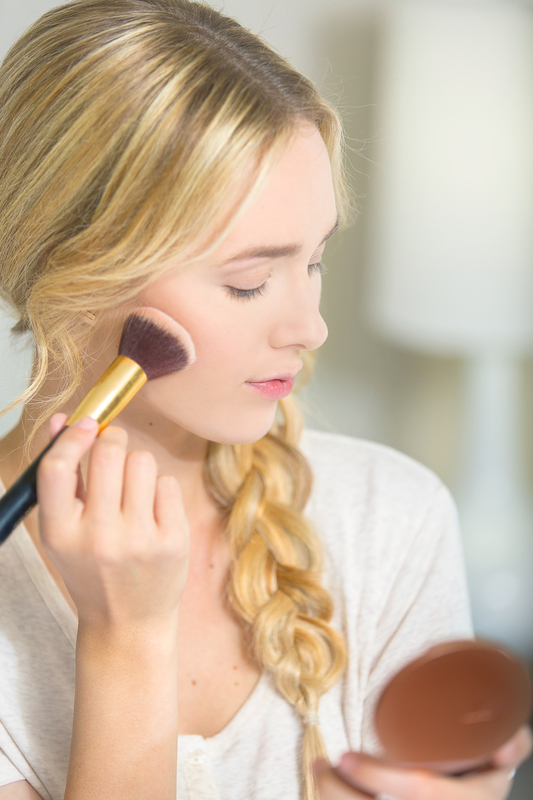 I’m using all affordable products from Walgreens for this look & I know you guys will love them! Hope you guys enjoy! 1.) Since I’m flying across country, my skin is going to be dry (airplanes always dry out my skin!). I’m doubling up on my face serums because I want to start off with soft, smooth & glowing skin. 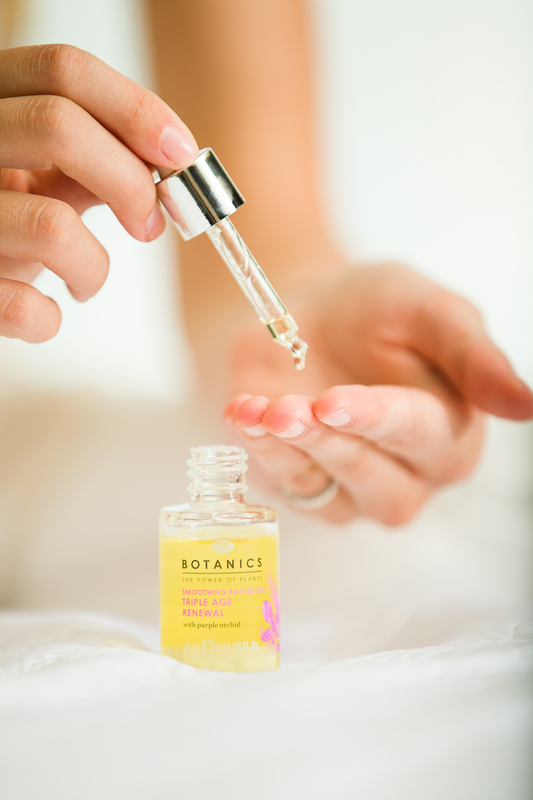 I love this Botanics Smoothing Facial Oil as well as the No. 7 Protect & Perfect Advanced Serum. They both make my skin feel amazing! 2.) 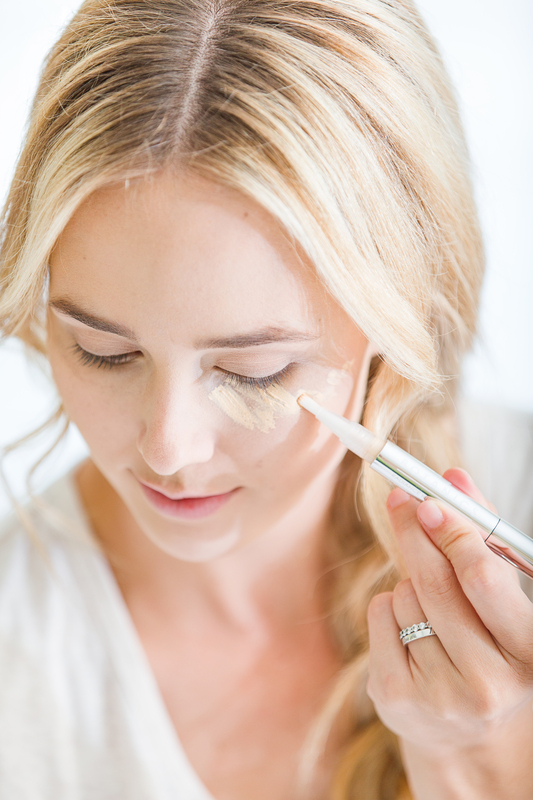 I’m kind obsessed with highlighting these days & I love this Botanics Radiance Highlighter Pen. I have other highlighter pens that I enjoy but I really love this one because it provides great coverage as well as highlighting. Bye dark circles!! 3.) Next up, No. 7 Perfectly Bronzed Mosaic Bronzer – You guys know that I always use bronzer because I never get sun on my face (aka I’m incredibly pale :)) I really like this bronzer because it has different bronze shades as well as a couple blush shades, which makes it a 2 in 1 product & I love that. 4.) On to the eyes! Using this Circa Eye Crayon, I’m applying the shade Sparkling Citrine all over my lid to open up the eye area & make my eyes look bright & awake. After that, I’m applying this Circa Vivid Vinyl Eye Lining Fluid in Vibrant Emerald to achieve a slight cat eye effect. I love the formula of this liner because it’s easy to apply & doesn’t smear everywhere. Which makes it perfect for us girls who aren’t the best when it comes to liquid liner 🙂 If you want to jazz up your look a bit more, I highly recommend the Colour Prevails Eye Shimmer Powder! They have really fun shades for all over color or even just a slight shimmer. 5.) To complete the eyes, I’m applying a few coats of this No. 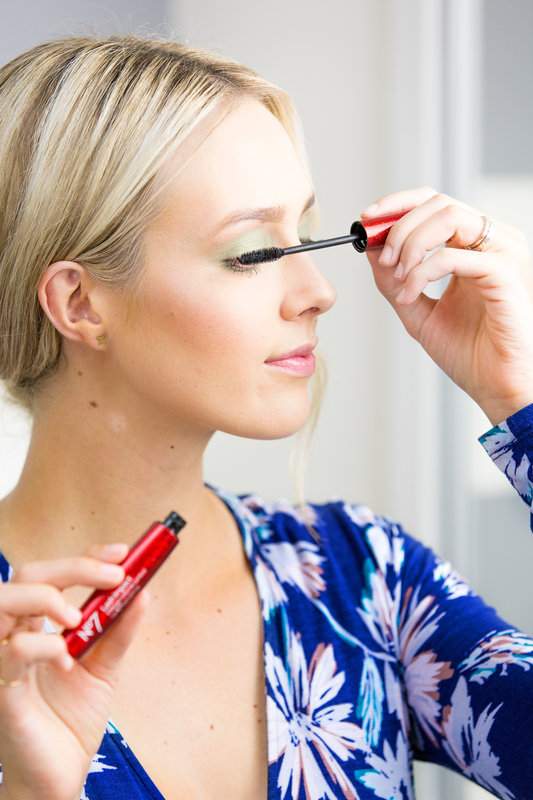 7 Lash Impact Intense Volume Control Mascara to really thicken up my lashes. Don’t forget your bottom lashes! 6.) Last but definitely not least, the lips & nails! For day to day, I love a good pink gloss to finish off the look (on my lips & nails). This Lustrous Lip Polish by Circa in the shade Chiffon Glow is the perfect pink & a nice opaque formula. I love a great Essie polish & this shade Romper Room is definitely a new favorite! Sheridan Gregory is a Los Angeles-based lifestyle blogger. 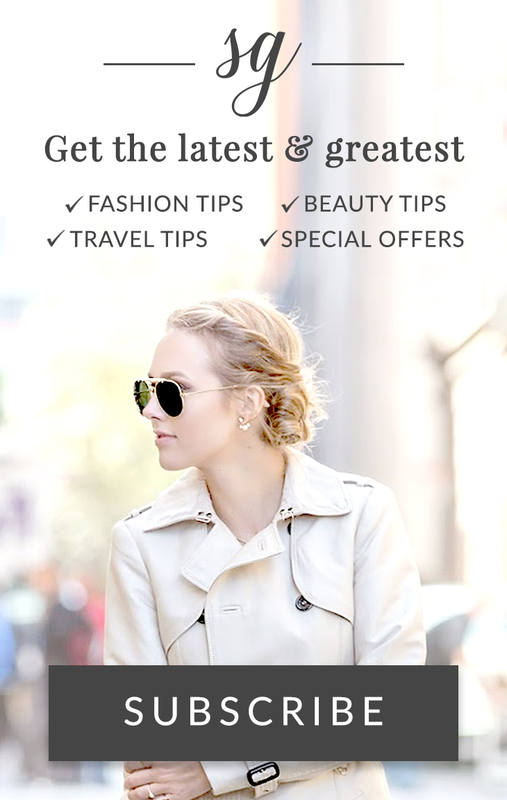 Get posts & videos about fashion, beauty, travel & family.